Get notified when Radio City Christmas Spectacular tickets are available! The Radio City Christmas Spectacular is a musical holiday stage show that is played once a year and hosted at the Radio City Music Hall in New York City. The show is 90 minutes long, showcasing over 140 performers, and fuses dancing, singing and humor with traditional Christmas scenes and original music. 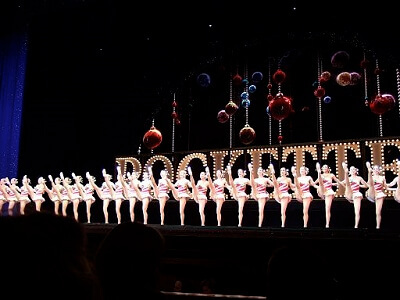 The main performers are the Rockettes, a women’s precision dance troupe. The inaugural show was presented in 1933 and has since become a New York Christmas tradition. Last season, the Radio City Christmas Spectacular production was presented from November 11, 2016 to January 2, 2017. Get your Radio City Christmas Spectacular tickets now.